It’s time for a long-overdue episode of RustyButTrusty on the Street. Daylight savings means there’s less time in the day to photograph finds with good lighting, so the pickings have been slimmer. But there are still interesting cars out there, including this impeccable 1964 Ford Thunderbird Landau running its original California black license plates. 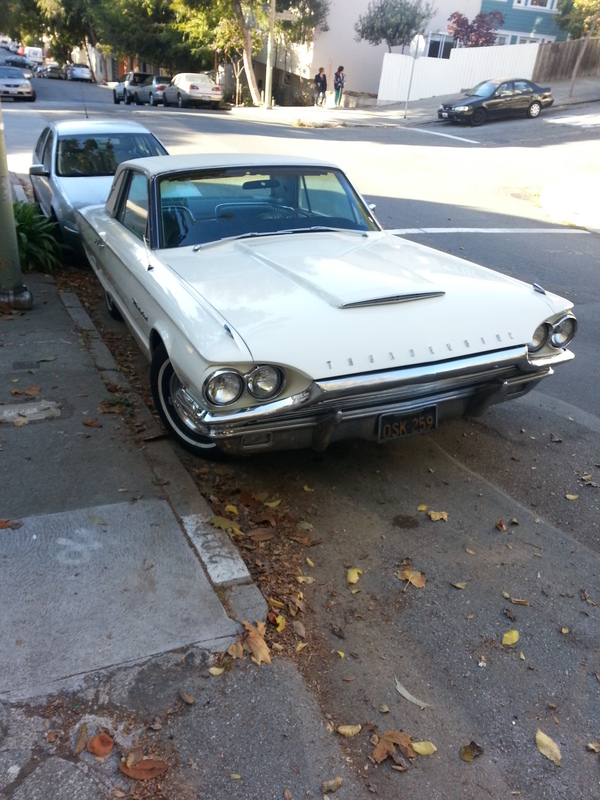 This car is a resident of this neighborhood, and does appear to be frequently driven. 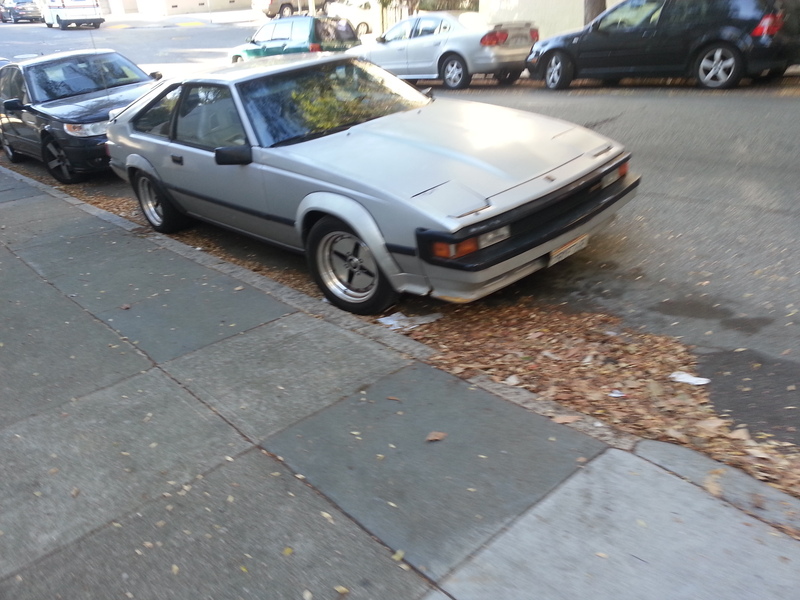 Next up, and only a little ways down the street, is this 3rd-generation Toyota Celica. It appears to be in original condition – compare this car’s design with the recently-featured Mitsubishi Stariion. There are some surprising similarities, especially when you look at the fastback Celica. Half-cars are still a practical alternative to large trucks in urban areas, and rust just doesn’t kill them in drier states. 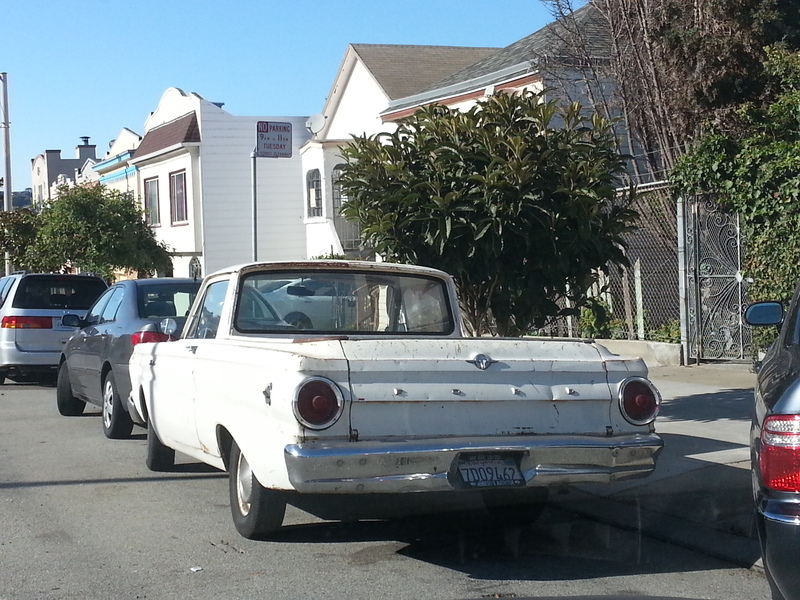 This 1964ish Ford Falcon Ranchero is still working for a living. A Ford inline-6, modified for performance, would be a fun addition to the bucket list. This last image is actually cheating, since we’re not on the street. 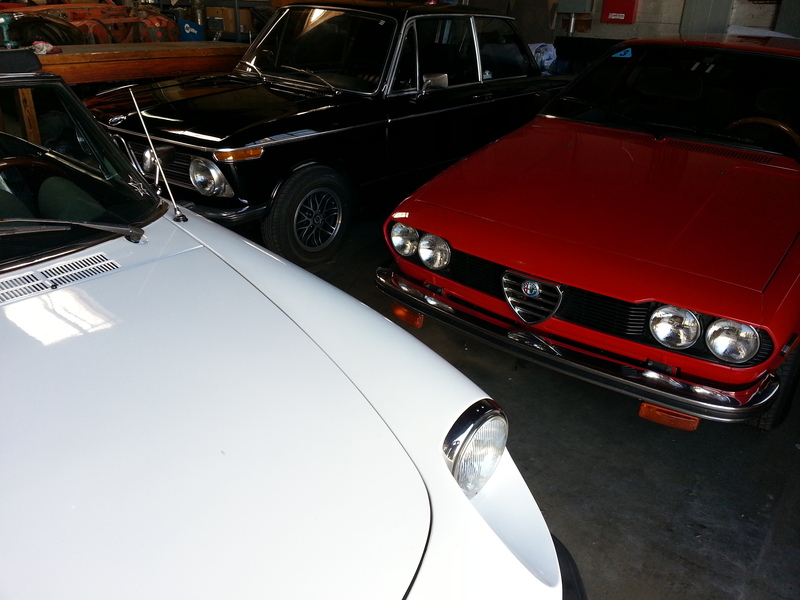 The three over-30 members of the RustyButTrusty fleet are not often together, so it merited a group shot. Reunited and it feels so good? Right now the spider is on duty for a half-day drive up to Sonoma next weekend. This entry was posted on November 12, 2013 at 6:26 pm and is filed under Feature. You can follow any responses to this entry through the RSS 2.0 feed. You can leave a response, or trackback from your own site. That Celica is a Supra, which is much cooler and rarer.